It is common wisdom that messing with nature has unintended consequences. Well, the Australians put that law into practice when they brought the cane toad to the continent from Hawaii in 1935 in hopes of containing the greyback cane beetle, which was destroying Queensland's sugar cane crops. Instead, the toads breeded like crazy and started a relentless migration across northern Australia towards the west coast. 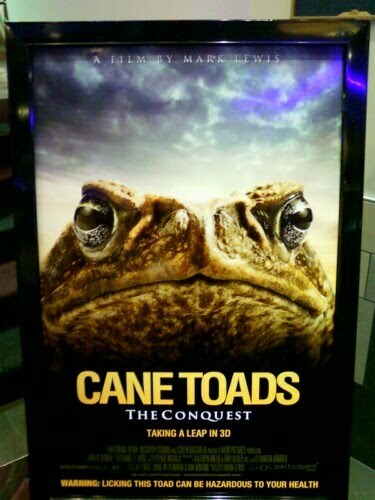 To this day the westward migration continues and now the world will know about this epic environmental blunder through the film "Cane Toads: The Conquest." 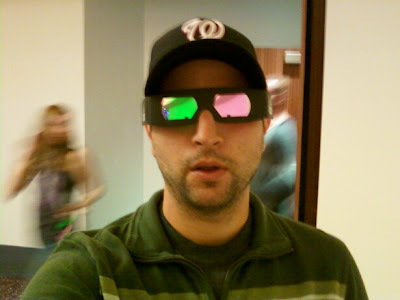 Filmmaker Mark Lewis has made Australia's first digital 3D feature film and let me tell you, the Navis from "Avatar" have nothing on these toads when they are virtually jumping off the screen and onto your lap. "Conquest" had its world premiere at the Los Angeles Film Festival on Friday night followed by a Q&A session with Lewis. Somehow he was able to take what could have been a dry, boring science film and turned it into an instant classic that will be sure to gain a cult following and be used as a warning to be careful when messing with nature. Just ask the Australians living in the Northern Territory, Queensland and now Kimberley. There were initially 102 toads released in 1935 and there are now 1.5 billion and counting.